Justine Frischmann. Brash, floppy-fringed, posh-parented and on/off squeeze of both Damon Albarn and Brett Anderson simultaneously. Charmingly, one would leave love bites on her backside for the other to find. But you knew that already. Donna Matthews. Pouting, doe-eyed indie-boy poster girl who’s guitar always looked a bit too big for her. Partook in way too much heroin. Annie Holland. Razor-cheekboned bass player. The quiet one. Justin Welch. Clem Burke-esque drummer who belched his way through Top 20 hit Line Up. Also partook in too many pills ‘n powders. 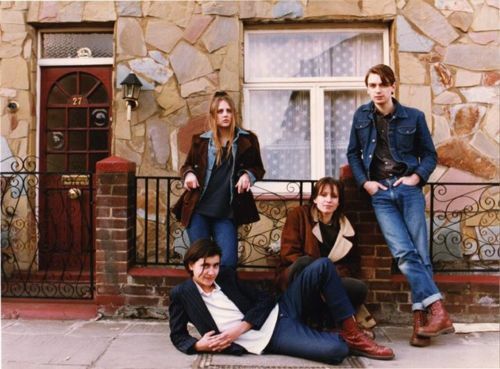 With their classic 2 guitars, bass and drums set-up and songs pilfered from post-punk’s recent past, Elastica were no different at all from any other provincial rehearsal room band. 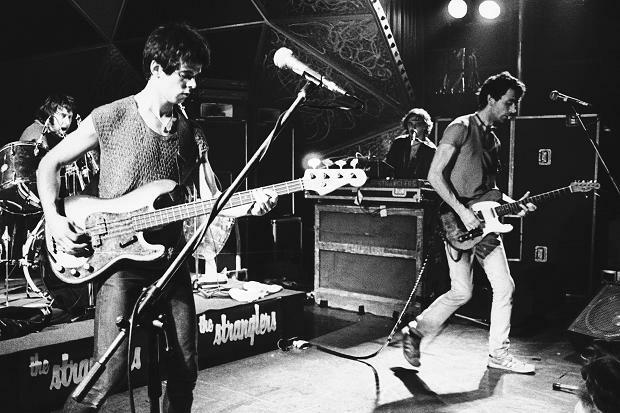 They were formed by Frischmann after she advertised for musicians ‘influenced by The Fall, The Stranglers, and Wire’, (something that would come back to haunt them) and when they came on the scene, the London-centric media held them up as the next big thing, helped in no small way through an endorsement by King Steve of Lamacq, Radio 1 DJ, label boss and indie uberlord. Elastica received far more column inches in the music press than any new band really had the right to. Rave review followed rave review. Cover followed cover. 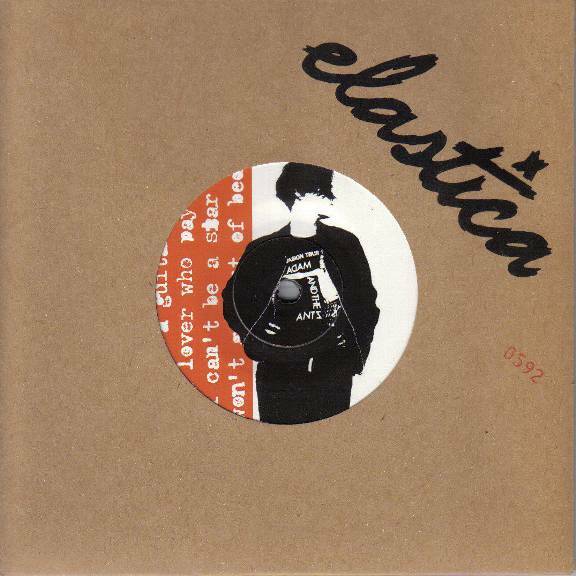 The public bought it and before you knew it, Elastica were the next big thing. They couldn’t handle it though. The simple ratio of too many drugs and not enough songs caused the band to implode. 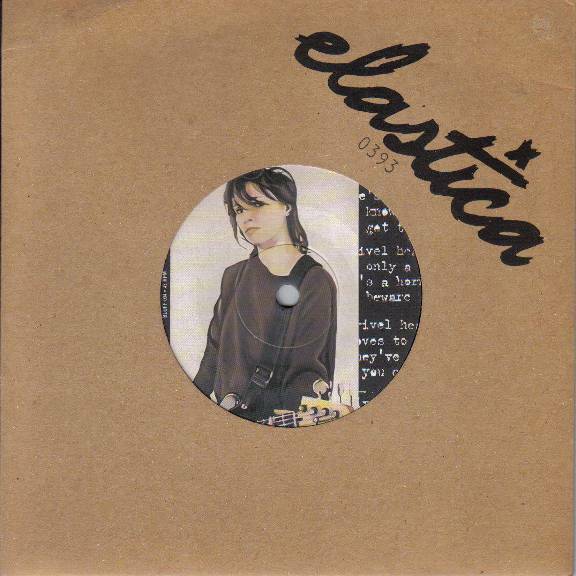 For Elastica, it would be a long stretch (aye!) before their second, long-since forgotten about LP. 5 years it took them to release it (a lifetime in the fickle, fad-dominated world of pop music), hot on the heels of a gap-filling mini LP of sorts. Then nothing. Back to the debut album though. It fizzes with gay punk-pop abandon. Choc-full of those jagged, juddering, short, sharp post-punk riffs. Connection was the biggy. Number 17 with a bullet and proof, if any were needed, that Elastica were a bona fide chart success. Proof, too, that Wire‘s Pink Flag LP was a regular rotator on the Elastica turntable. Here’s Three Girl Rhumba. The thieving mapgpies. The belching drummer-enhanced opener Line Up was another. Elastica certainly had. The thieving magpies. Another crime was committed in the name of biggest hit single Waking Up, it’s twanging see-saw riff and chord structure totally ripping off The Stranglers‘ No More Heroes. Elastica just about stopped short of adding a bouncing Farfisa, but they were fooling no-one. And there are others. The album’s S.O.F.T. somehow manages to sound like most of The Pixies‘ Doolittle LP in less than 4 minutes. Vaseline‘s chorus could be Debbie Harry’s finest moment. Pop pilferers who got lucky. That just about sums Elastica up. Both The Stranglers and Wire secured out-of-court settlements for all of Elastica’s sticky-fingered troubles. Quite rightly too. it just goes to show, recycle any old tosh from the past and if it’s presented as the best thing ever since the last best thing ever, the gullible will buy it. 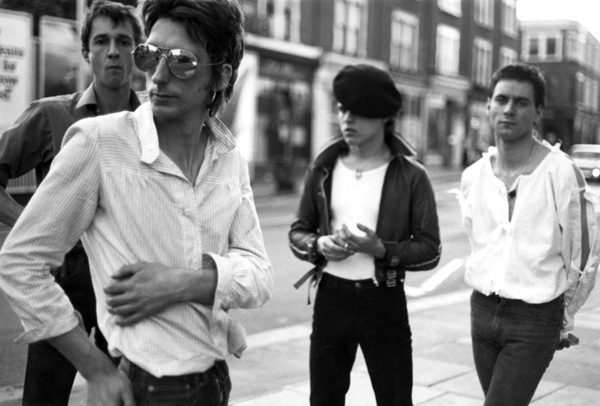 You should seek out Wire’s Pink Flag if you haven’t heard it, though. You’d like it. S’a cracker.